LAST CHANCE: Win a Monitor Audio BX2AV speaker package worth £1100! | What Hi-Fi? LAST CHANCE: Win a Monitor Audio BX2AV speaker package worth £1100! We have £5500-worth of Monitor Audio BX2AV surround speaker packages to be won – that's a superb home cinema set-up each for five lucky readers. 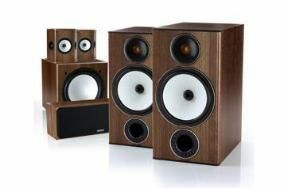 Monitor Audio's BX2AV package comprises a pair of BX2 speakers for the left and right channels, a BX centre, a pair of BX-FX surrounds and the BXW10 subwoofer. The BX2s excelled in a WHAT HI-FI? SOUND AND VISION Group Test in the October issue, picking up five stars and the test win. To be in with a chance of winning this superb speaker system, just head on over to our competition page and submit your entry.